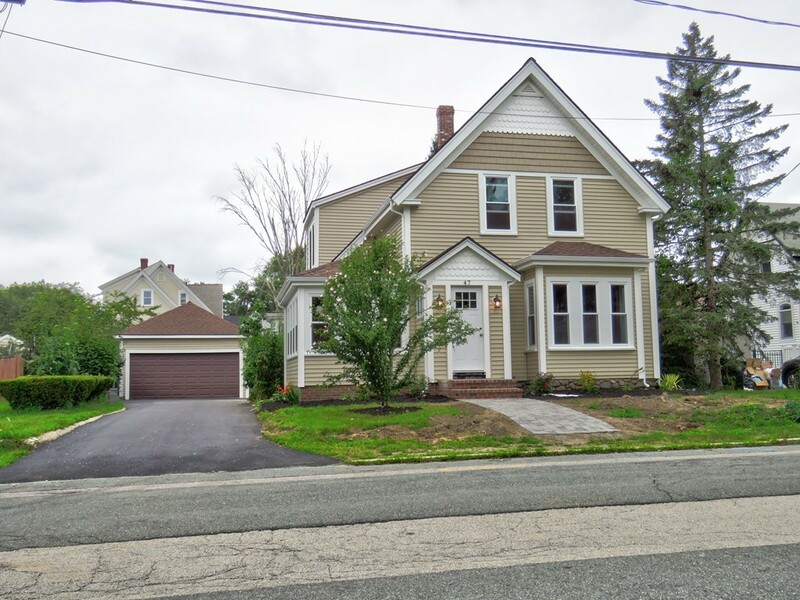 Beautifully restored and ready for a new family this 8 room, 3/4 bedrm., 1.5 bath Victorian Colonial located on side street within walking distance to center of town, park and commuter rail. Stunning white cabinet kitchen with quartz counter, gray center island, stainless appliances, recessed lighting, hardwood flooring and open to formal dining room. Half bath off kitchen with laundry. Den on first floor could be a fourth bedrm. Heated sunroom makes great place for morning coffee. Three generous size bedrooms on second floor with gleaming hardwood flooring. Full bath on second floor. Detached two car garage. Don't miss out seeing this beauty! to be finished within next couple weeks.